A. 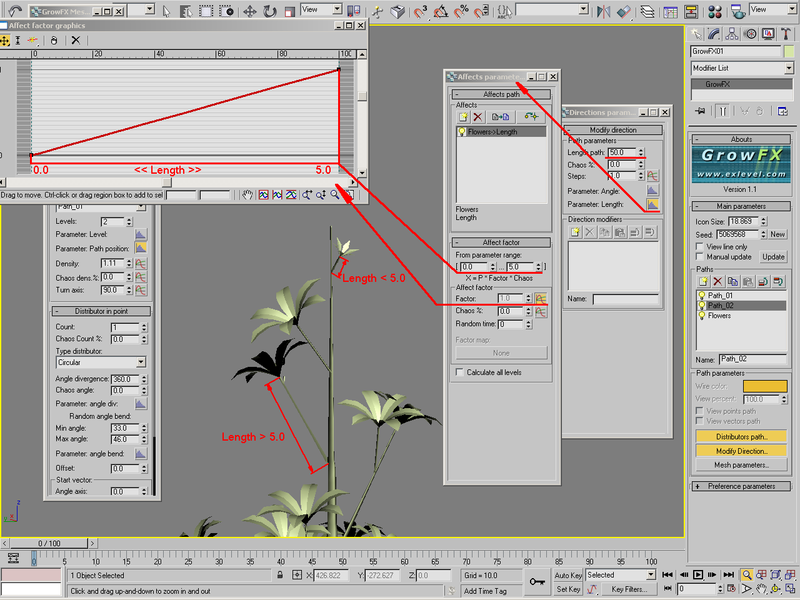 You need to configure the animation of the main path length (plant stems), and the length of all other branches must depend on this length. Use the Affects settings, which define the influence of some parameters on others. 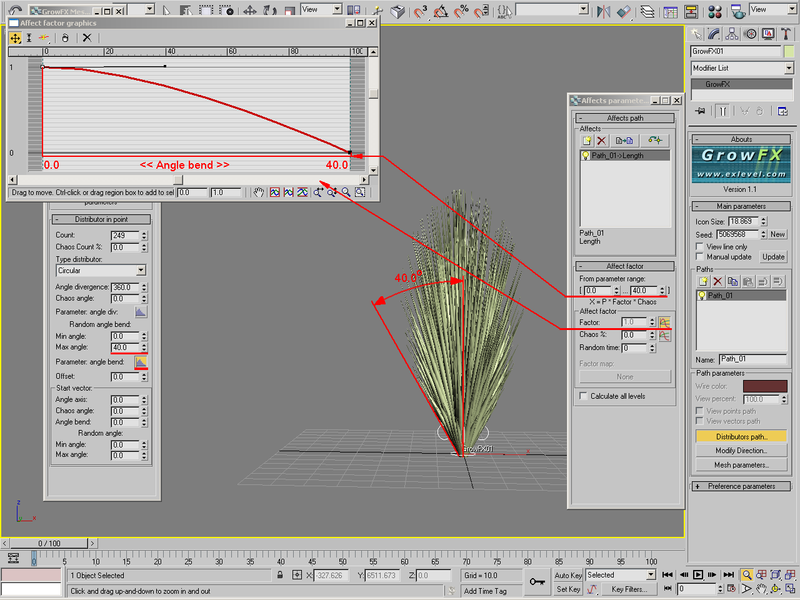 Try to influence the length of branches from the main path by using Parameter: Length. A. In the Affects window, add a parameter you want to influence by selecting it from the list of available parameters. Then set up the desired range of the influencing parameter labeled as Source parameter range. 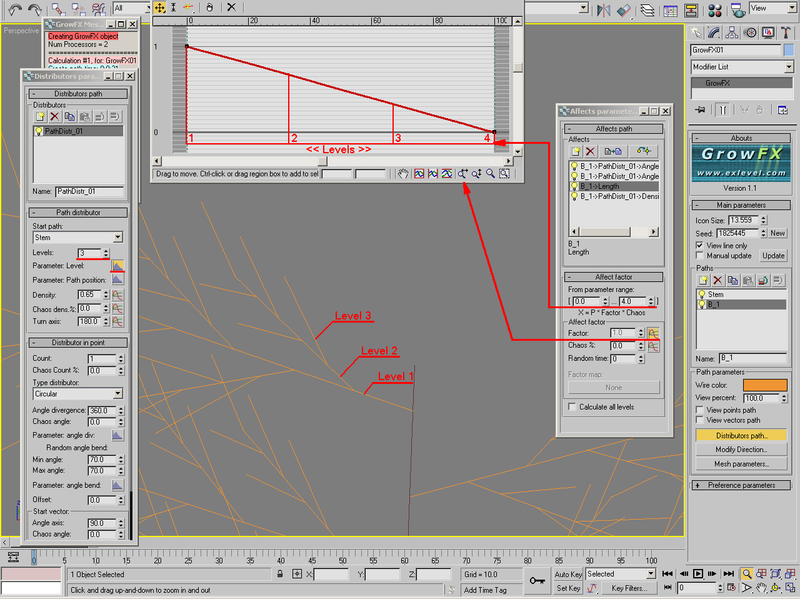 The next step is to enable the Factor graph to make the Factor changeable. As you do so, the "0" mark on the graph will correspond to the initial value of Source parameter range, and the "100" mark will correspond to the final value respectively. 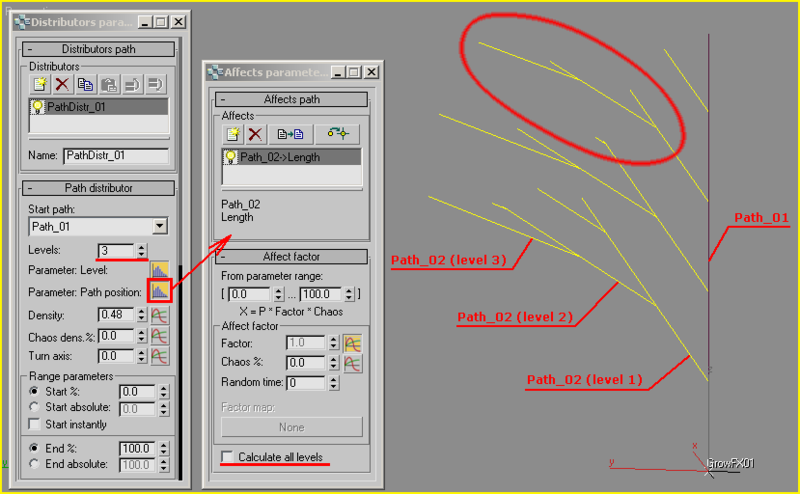 If you influence using Parameter: Surface from Surface distributor, you need to use Factor map, rather than Factor and use texture as a changeable coefficient. 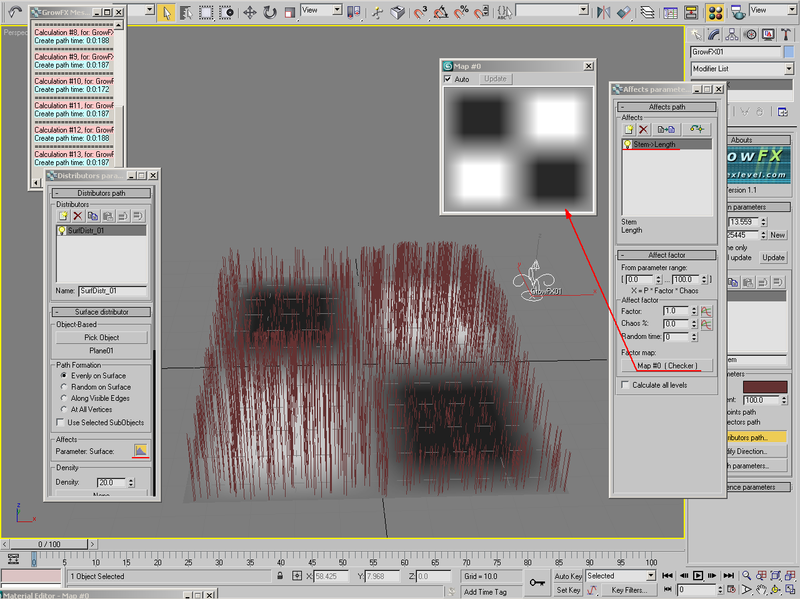 Texture can be black and white, where black areas correspond to the coefficient value "0" and white correspond to "1". A. As a rule, the length of branches is shorter when they are closer to the top of the plant. Therefore, you need to set up the influence from the distributor of branches on to the length of these branches, specifically from Parameter: Path position. As you do so, you need to set up the graph for the Factor parameter to make it go down from some value (for example, "1.0") to "0". As a result, the length of branches closer to the top will go to "0", which will make them grow smoothly during the stem growth. Q. When do I need to influence with "Parameter: Length"? Q. When do I need to influence with "Parameter: angle div"? Q. When do I need to influence with "Parameter: angle bend"? Q. When do I need to influence with "Parameter: levels"? Q. When do I need to influence with "Parameter: Surface"? A. You can use this feature any way. 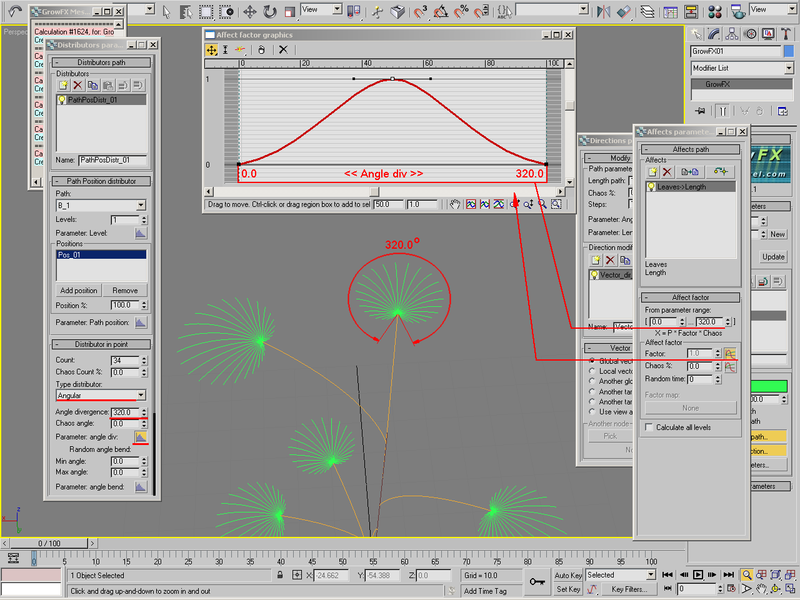 For example, you can use Affects to add chaotic behavior to the parameter. To do so, set up the influence on this parameter without changing the Factor value. Simply change the Chaos % value. This way we set the random distribution of values on the desired percent for the required parameter. Q. When do I need to use "Calculate all levels"?